Katrina opens the window, and the window starts to fly. Flying window can be performed on smaller and bigger stages. Poetic and elegant act is a good alternative to popular aerial acts like ring or trapeze. Original & inspiring aerial performance ! Duration of the act 4-5 minutes. on the table/platform, globe, wearing glamour costume suitable for your event or show. Katrina can always adjust the choreography, music, and outfit that fits the best for Your gig. Spectacular & very capable performance. Perfect for dinner shows, corporate parties, clubs, weddings, exhibitions also with very limited space. Duration around 4-6 minutes. Please note that price for gala is always higher than salary for regular job (longer term contract) per working day! No rigging required! Original Act produced by Kai Leclerc and choreographed by Katrina Asfardi. A unique combination of contortion, aerial and pole acrobatics. Contemporary style. The idea of the number is constant incompleteness & unsatisfaction with our body, and our physical condition. 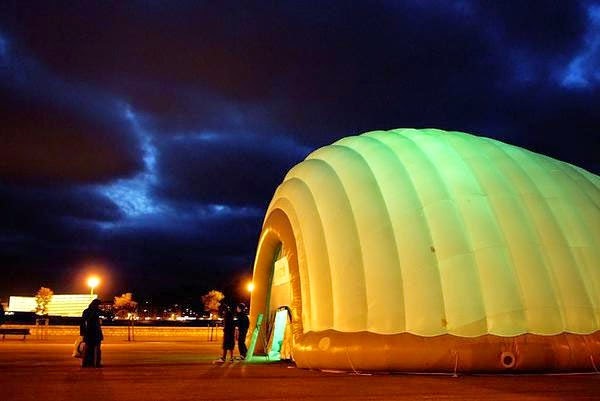 Suitable the most for various outdoor events in the summer, or water themed shows/events/exhibitions. This act has become very popular in last few years, especially after Cirque du Soleil produced it for their show "Zumanity" in Las Vegas. This act was originally created by N.Chelnokov, became popular among others in show industry. 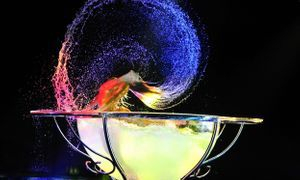 This act has become popular in various shows, because of its grace - where contortion movements are shown up in the air, and it looks as if the artist is flying in the air inside of a crystal Ball. Please contact me for more info if U wish to book this act. Flying pole (Aerial Pole) "Emotions"
Katrina attempts to turn back time and travels through the wormhole in space! Aerial act & Swinging pole . Katrina performs pole dance in her contemporary interpretation. Performance has sophisticated & modern character . The music, the costume & choreography Katrina adapts for our audience who appreciates pole art & contemporary circus arts. For conservative clients, Katrina can perform with her rubber pole fully dressed in black catsuit. No Rigging required! Easily removable! Katrina is performing aerial hoop with oriental fusion & bellydance elements. Graceful, spectacular number with oriental dress & music. Duration around 4-5 minutes. Katrina is in a concert at the white grand piano. She dances, sings, shows her contortionist skills, while looking at the notes, following the rythm of the music,and expressing her love to jazz music. After she starts to play, the piano and Katrina suddenly start to fly about and vault 360° in the air. A spectacular number lasting 7 minutes. Aerial Silk -act lasts around 4/5 min. Client can choose the most suitable music for his event. Ceiling height has to be min 5 meters. Aerial Hammock ( silk loop) can be performed with 4 meters high ceiling. Aerial Net act lasts around 5 min. This act cannot be performed with standby rigging. High speed Motor is a must for aerial net . For discos,events always special price!